Here we have a common problem with EEE PC 900 series, it have no sound on the speakers, but it have sound when you plug in external speakers or headphones. But we manage to fix it easy. And here we gonna explain how we do it. On the picture there are two transistors assigned with red circles. These are actually the switches that switch between the internal speakers and microphone or the external speakers and microphone. 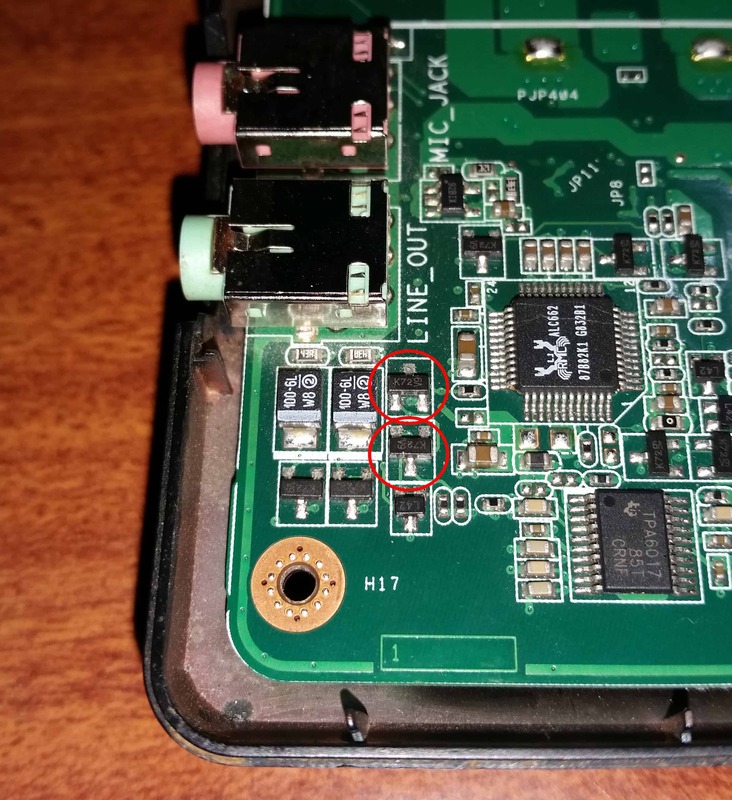 To be more precise, the upper transistor switch is for the speakers, and the one down is for the microphone. 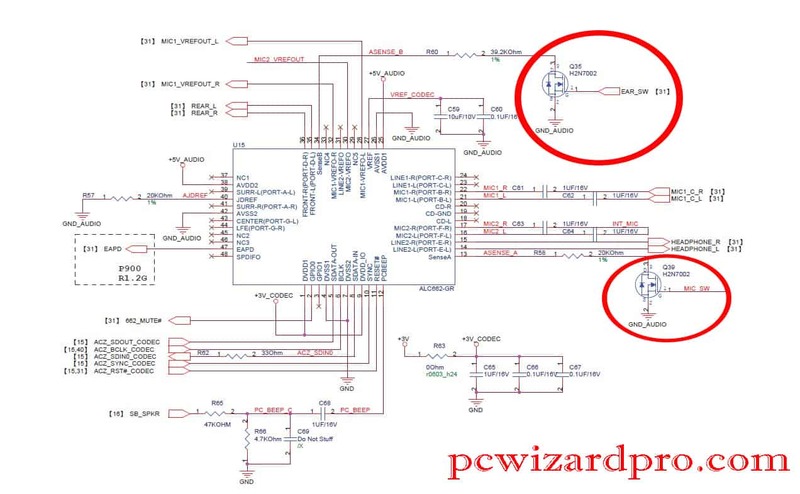 Here is the schematic from the laptop, to see how this transistors are connected to the sound card chip ALC662. From the Schematic you can see that the type of the transistors is H2N7002. From the first picture as you can see the SMD code of the transistors is K72 V9. We have problem with the sound only. The microphone was OK, so we replace only the upper transistor and we fix the problem. We hope that we help to someone to solve their problem. This entry was posted in Hardware, Repair and tagged ASUS, Repair by Tome Trajkov. Bookmark the permalink.